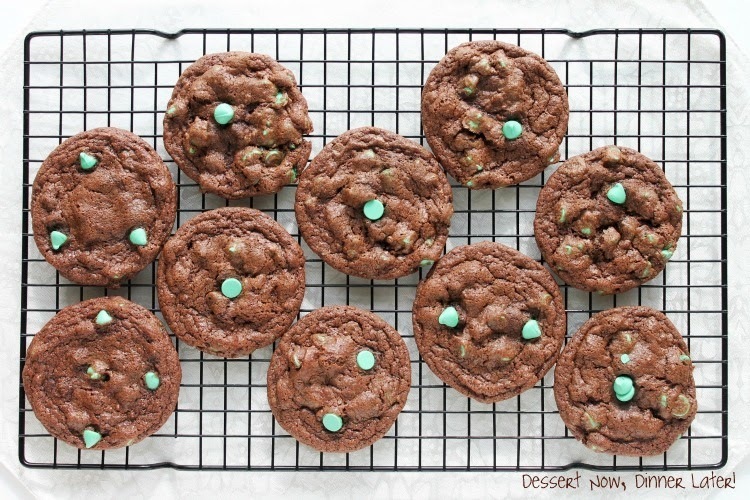 Chocolate Mint Chip Cookies - Dessert Now, Dinner Later! These cookies have been on the back-burner for a while now. I really wanted to make them because I am a sucker for chewy chocolate things. And mint is fabulous, as long as it’s not peppermint because that is too close to toothpaste for me. So these cookies are perfect! But I will admit, the first bite I took immediately hit me like it’s a Christmas cookie & I should have waited longer to make it. Now I kind of want Christmas to come. Okay, not really, but it would be perfect for Christmas, so hold on to this one for neighbor gifts! In a stand mixer with the paddle attachment, beat butter, sugar, eggs, & vanilla until light & fluffy. Combine flour, cocoa, baking soda & salt in a separate bowl. Gradually add to wet mixture until combined. Look at how great your photos are! Good job 🙂 Also, as soon as I saw these I immediately thought of Christmas too! I’m not nearly ready to even remotely start thinking of the holidays though… it will be here before we know it!! Thanks Yvonne! My photography is improving gradually 🙂 And it was totally unintentional to start thinking of holidays so soon. I just wanted to try these & it’s the first thing that popped into my head when I bit into it! Haha! That makes sense!!! Kinda how my Shepherd’s Pie is more of a fall comfort food?? Yea.. I do that too! Oopsie, the recipes are delicious any time of the year right?? 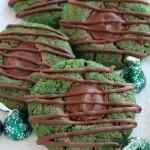 Those mint chocolate chips are amazing!! These look fantastic! I will pin them for later for sure. These cookies are about to steal my heart, I just know it. Love your cookie photography! These look delicious! Amber! You did it again! These look so yummy! I love anything chocolate and minty! Yum. 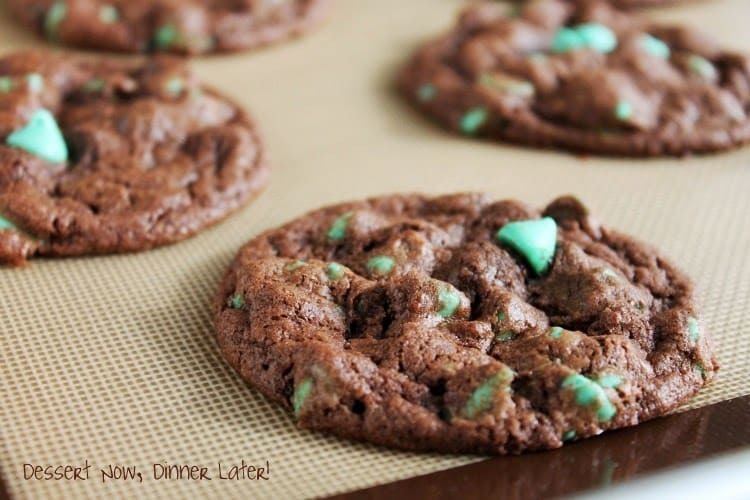 I love those mint chips, but don’t think I’ve ever baked with them myself. But you can bet I’ll be making these cookies soon! LOVE the picture on the cooling rack! And the brown and mint colors look great together! These look amazing! 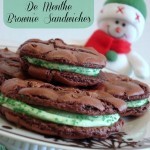 I love just about anything mint so I will have to try these babies! You’re awesome and hope you’re doing well! They look very chocolatey. Love the green mint chips. Visiting from Tuesday Talent Show. I am fine with a bite of Christmas. These look delicious and I probably won’t wait to make them! Okay I’m the odd ball here. 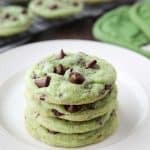 I saw these cookies and thought St. Patrick’s Day 🙂 I LOVE chocolate and mint and I don’t care what time of the year it is, those look delicious! 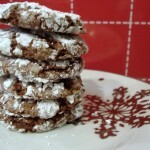 These cookies were so easy and taste FABULOUS!!! Will be going into my “make again” recipe file!! Thanks for sharing. Great! I am so glad! Thanks for coming back to share your experience!